If I mention Adventure Land, what comes to mind? For many it is the theme park on Long Island. In the Midwest we immediately consider the resort in Des Moines which boasts one of the 10 best wooden roller coasters. 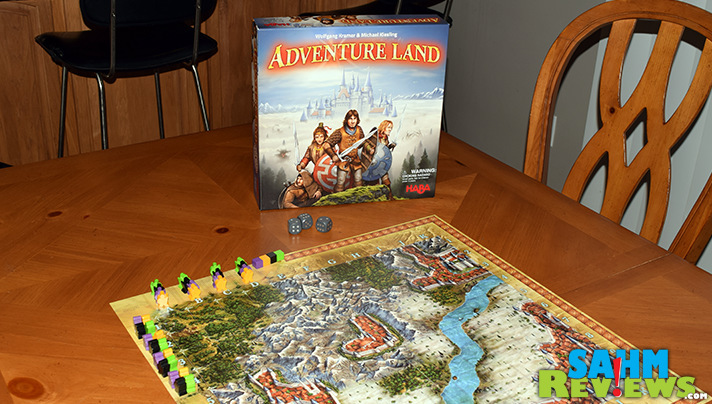 For us that term has a new meaning – Adventure Land is one of the newest hobby games by HABA USA and a permanent fixture in our collection. As we mentioned back in June, you probably recognize HABA for their fantastic line of games for young children. 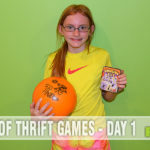 And while they haven’t strayed from their core product line, dabbling in strategy games for when those same kids want to try something more difficult and less “kiddish” as they grow older is a wonderful idea. 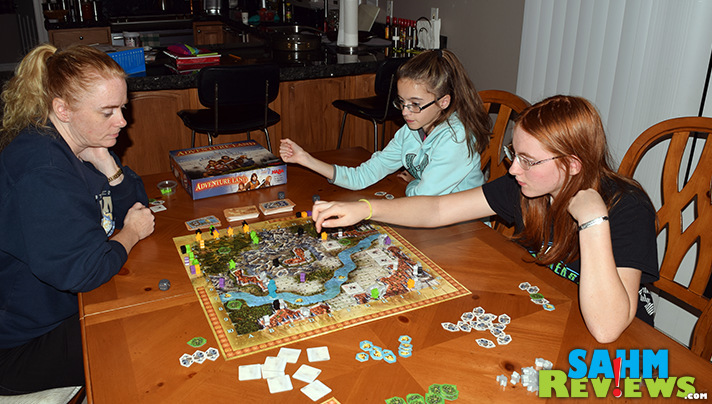 Karuba is still a game night favorite around here, and after a couple plays of Adventure Land there is no doubt that it will also get a lot of table time. 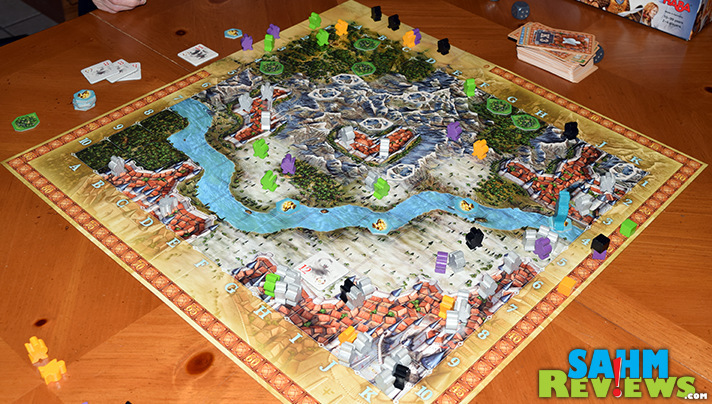 In the lower-right corner of the board is a castle, rules by King Agamis. His kingdom is very rich and the surrounding countryside has a vast amount of gold, herbs and more ready for the taking. Lately the fog that surrounds the area’s river have been more active with fog creatures, and reports of their attacks are becoming more common. To solve this growing problem, King Agamis decides to invite adventurers from all over to come to his kingdom to protect the cities and allow them to keep any treasures they find along the way. 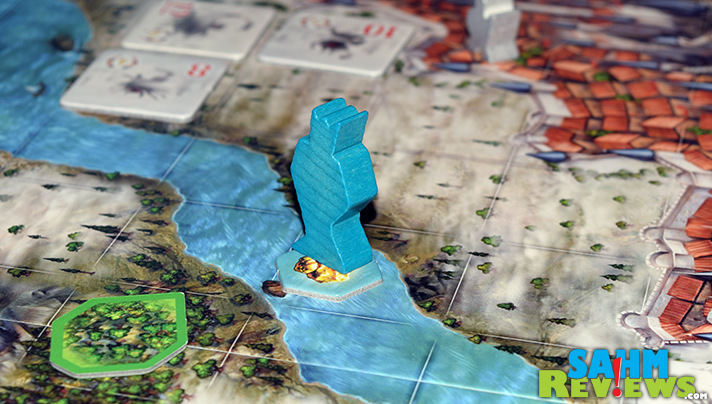 Supporting up to four players and all ages, you set up Adventure Land by lining up each players’ adventurers in the northwest corner of the map, randomly drawing eight terrain cards and placing the displayed items on their corresponding locations on the map. On each turn you will draw two new terrain cards, resolve them by adding their items to the board and moving your adventurer meeples. During your movement action, you may move one adventurer two times, one or two adventurers one time or not move at all. When you move, you move as far as you wish in one direction as long as you don’t pass over a fog monster or water sprite. You may only move south or east towards the castle, never west or north! When you end your move, you will be on a tile, companion or an empty field. Land of a river tile and you take the piece of gold and place it in front of you. A forest or mountain area will yield an herb or sword token, which you also place in front of you, face down. 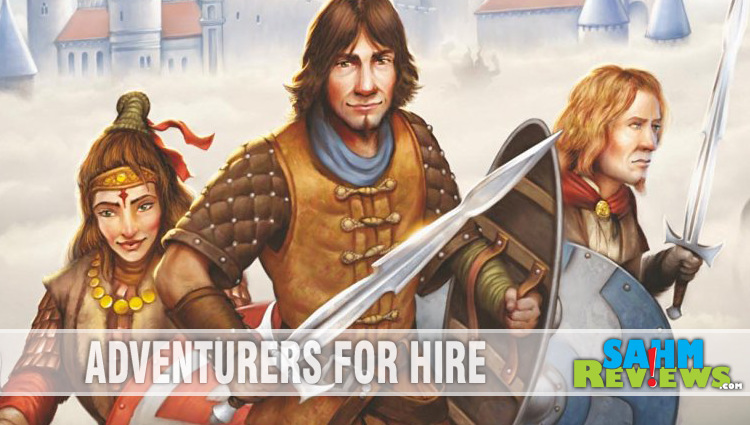 Visit a city and a companion joins you, moving together with your adventurer for the rest of the game. A fog tile forces you to fight the fog creature. His strength is listed on the tile and you must meet or exceed that total with a combination of adventurers, companions and items. Each adventurer and companion are worth one point each. You may use up to three swords in the battle and roll a die for each one, adding the result to your total. 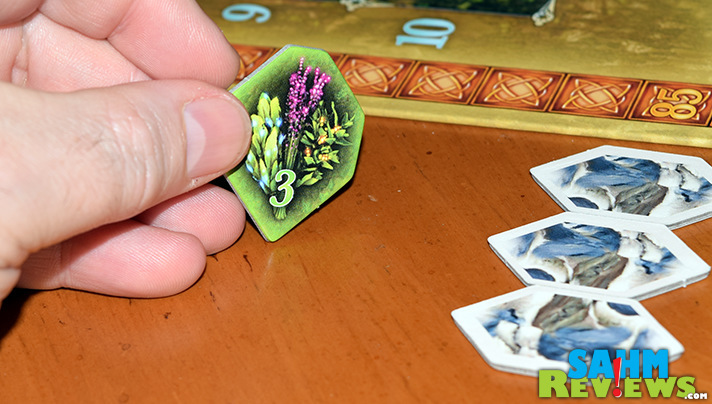 An herb tile can be used one time to boost your combat value by the number printed on the tile. You may also choose to give up a piece of gold to either add one to your total or to reroll one of your previous dice. Win the battle and collect the fog creature token. If you lose, your adventurer, his companion(s) and any used items (swords, herbs and gold) are taken out of the game. The fog creature lives to fight another day. The game ends when both the swords and companions are depleted or when adventurers cannot move any longer. 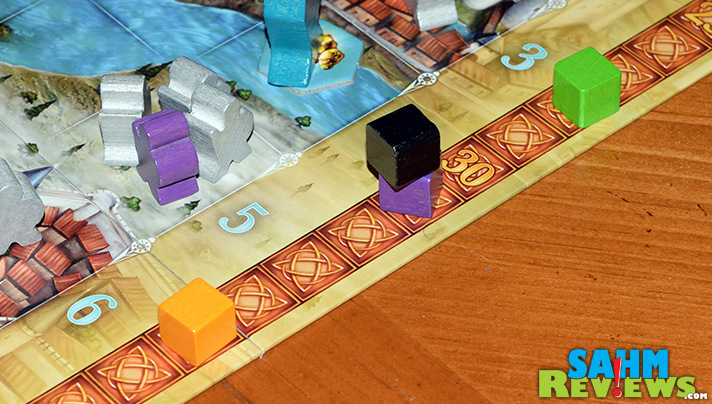 Adventure Land comes included with three different scenarios which add custom rules and scoring for each. 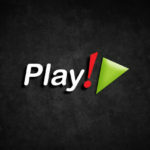 The first is straightforward, with victory points awarded immediately when earned. Another only scores at the end of the game, so if you lose gold in a battle you’re also giving up points. And yet another wants you to occupy the cities, limiting how far you may travel. This feature leaves open the possibility for additional content (both official and fan-created) in the future! Next time you’re looking for a family-friendly game, we highly recommend considering one of these new hobby games from the kid-game experts. Find out more about HABA USA on their website and by following them on Facebook and Twitter. Then pick up your copy of Adventure Land on Amazon for under $40 delivered! Cool and interesting looking game. This looks like a nice game. 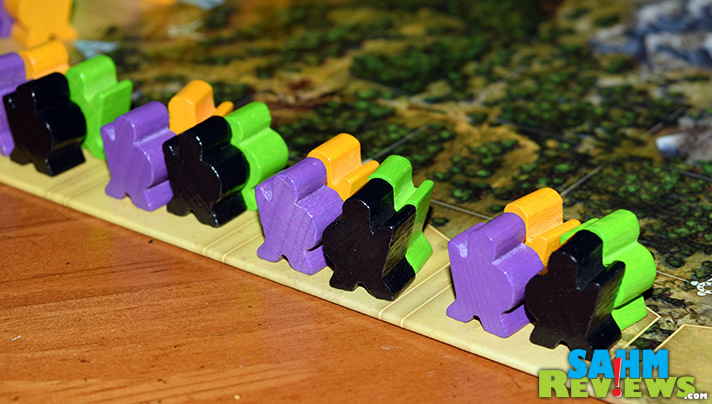 I like the components and it has decent strategy that some younger ones can play. I caught wind of this a while back but I cannot remember where from. I haven’t seen it around or gotten a chance to check it out but looks pretty decent. awesome! I’ve wanted to check this out out! Love Haba Games. This looks like a nice step up from their yellow box kids games. Growing up on the West Coast I thought of the Adventure Land section of Disneyland! I clearly need to get to the East “Coast more often! 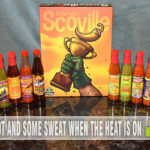 This looks like a great game for us to try with not only some of the younger members of our family .. but adults as well.. Both it and Karuba are on my Amazon wishlist.. Nice to learn about HABA too! Excellent review.. thanks! This definitely looks like a very fun and exciting family game! 🙂 I can’t wait until my three littles get a little older so we can have Family Game Night! 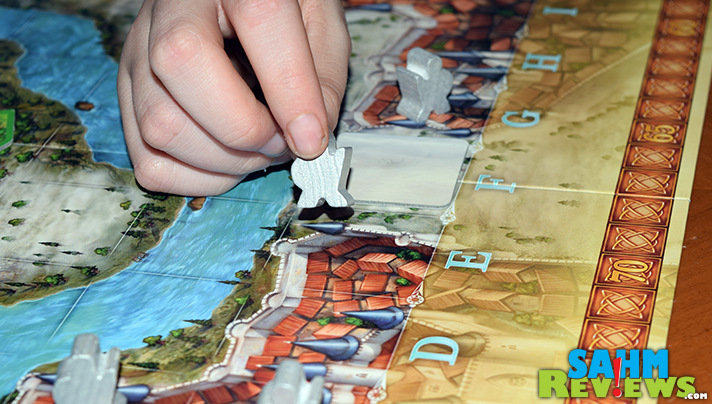 Thanks for continuing to showcase HABA games. 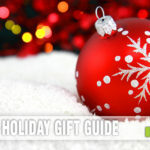 They are a quality company that makes some of our young families favorites. this looks like one that could begin the transition away from Rhino hero and Animal Upon Animal as they grow.